Several new structures are found in the area along the maritime border to Russia. Licenses in the area will be awarded before summer, the Norwegian oil directorate says. The new and updated Resource Report from the Norwegian Petroleum Directorate’s (NPD) reveals an upgrade of resources estimates for the Barents Sea. According to the report, Norway has undiscovered hydrocarbon resources of 2,920 million Sm3, of which more than half are located in the Barents Sea. The Barents Sea resources are about 125 million Sm3 higher than estimated in the previous 2013 resource report, the NPD says. The resource estimates cover the whole Norwegian shelf, except the northern piece of the areas included in the Norwegian-Russian border delimitation agreement from 2011. According to the directorate, a total of four «new major geological structures» have been defined in the area adjacent to the maritime Norwegian-Russian border. The structures have got names after historical Norwegian polar ships, the «Haapet», «Veslekari», «Signalhorn» and «Polstjerna», and have diameters ranging between 40-60 km. The structures are all located near the Fedynsky High, the major prospective area stretching into Russian waters. The structures could soon be the object of oil companies’ interest. 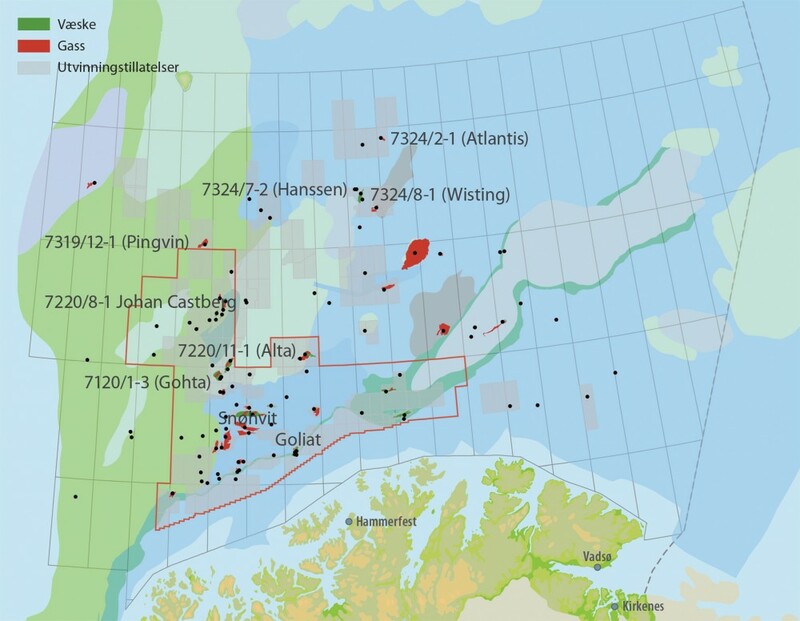 In its 23rd License Round, Norway will award as many as 53 blocks in the Barents Sea, several of them located in the areas along the border to Russia. According to the directorate, the blocks of the 23rd License Round will be awarded before summer 2016. A total of 26 companies are bidding for the licenses, among them Russian companies Lukoil and Rosneft. Since the early 2000s, a total of 71 wells have been drilled in the Barents Sea, and 30 hydrocarbon made, the resource report reads. In 2014, the region was for the first time the most successful exploration area on the Norwegian shelf with as many as nine discoveries. In 2015, however, the number of discoveries in the area was zero. In 2016, between 8-10 exploration wells are planned in the Barents Sea. As previously reported, OMV this winter drilled one of them, in the Wisting Central area. That operation proved successful. OMV now estimates that the Wisting oil resources exceed the one of Johan Castberg, the nearby field controlled by Statoil.